What is the difference between a std::map and a boost::associative_property_map ? When a nonexisting key value is given (e.g. "khwgfruiwgp" in the example above), the boost::associative_property_map's internal asserts will find it. For the std::map you have to write these asserts yourself every time. 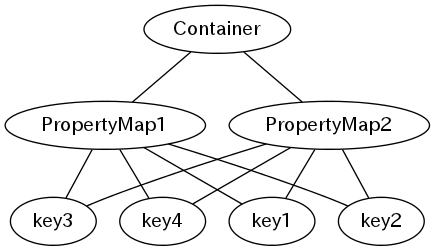 You cannot iterate through a boost::associative_property_map, where with a std::map you can.